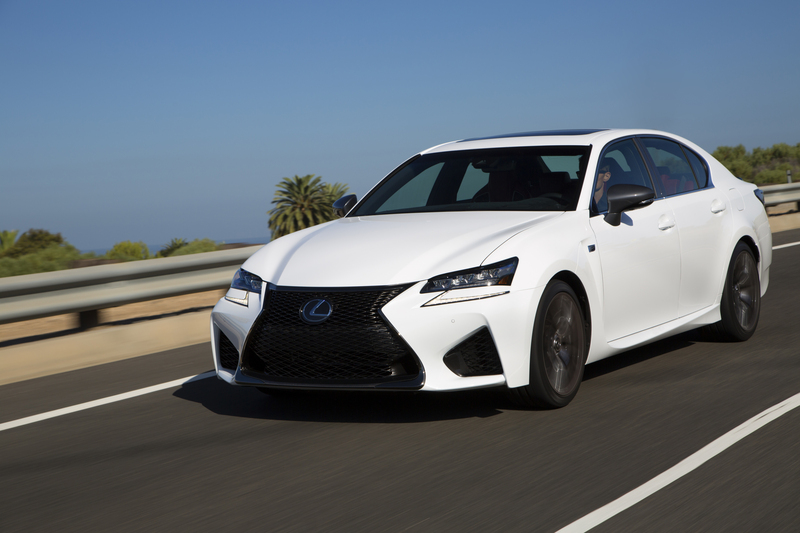 Rumored to start around $85,380, the 2016 Lexus GS F promises to deliver an impeccable blend of aggressive performance and undeniable luxury that can be enjoyed by all drivers. 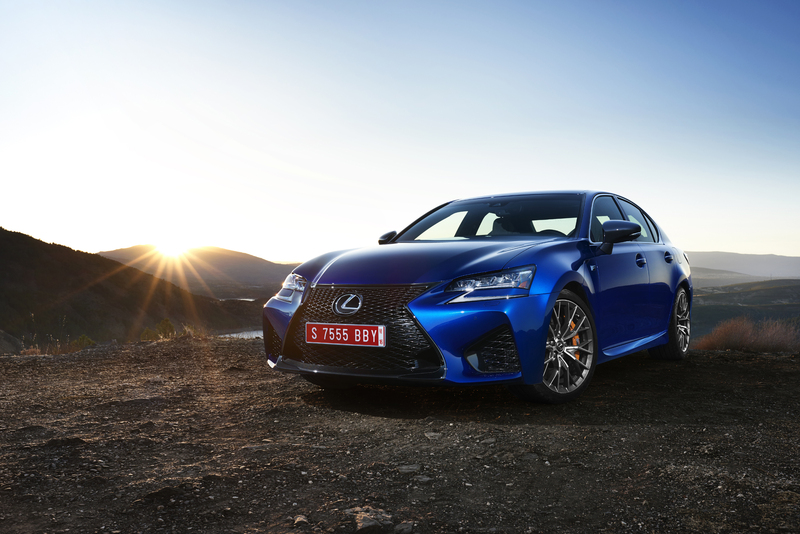 The 2016 Lexus GS F offers 467 Horsepower with it’s high-revving naturally aspirated 5.0-liter V8 engine that is remarkably efficient, according to a recent Lexus press release. “The GS F is a very capable performance sedan that offers excitement behind the wheel in all facets of performance driving. It’s something that’s fun to drive no matter who is driving or where it’s being driven. 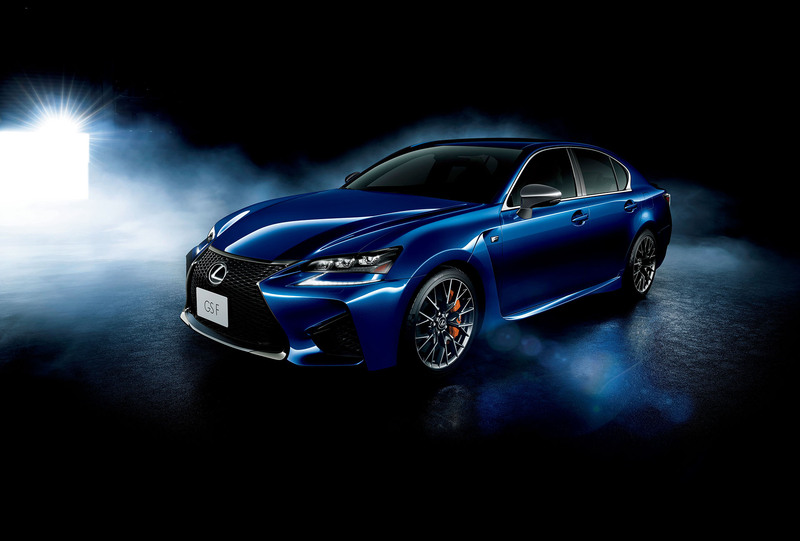 The sedan embraces the virtues of sound, response and limitless power feel to support Lexus’ “F” brand identity of a performance car,” said Yukihiko Yaguchi, Emeritus Chief Engineer of the GS F.
Everything that makes up the Lexus GS F has been thoughtfully designed by the awe-inspiring Engineers of Lexus. 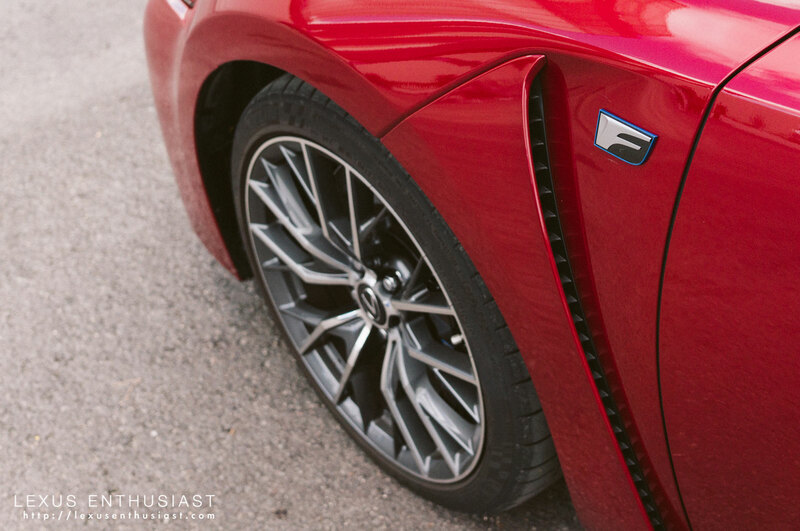 As Yukihiko Yaguchi puts it, “Everthing in this car is there for a reason.” Whether to optimize performance, elevate the driving experience or simply improve functionality, the all-new Lexus GS F was impeccably built and further demonstrates the master craft of Lexus. Sleek Design; Carbon-fiber rear spoiler, quad exhaust tips, triple beam headlamps, jet black plated taillight moldings within the lamp unit of the trunk garnish. 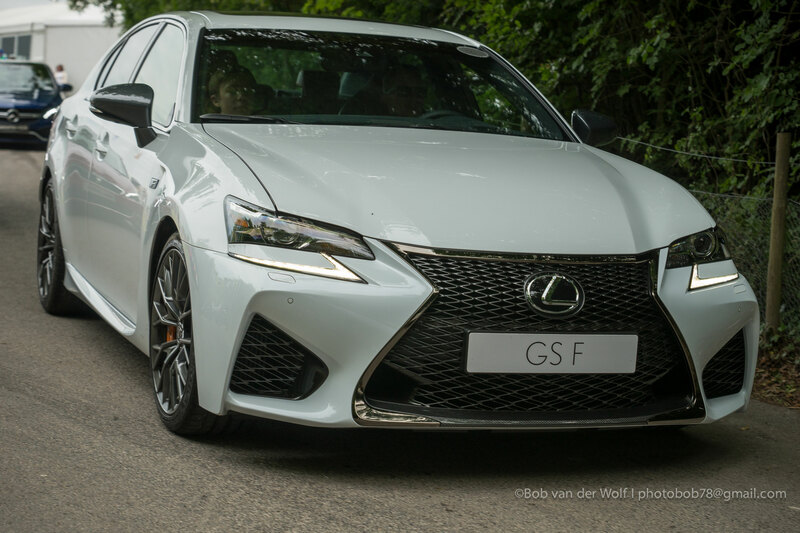 Longer, wider and lower to the ground- this GS F stands out from any other GS built on the same GS platform. Peace of Mind with Enhanced Safety Systems: Lexus Safety System+, Drive Start Control, Auto Location Tire Pressure Warning System, Blind Spot Monitor, Rear Cross Traffic Alert, Park Assist, Lexus VDIM, Brembo brakes and more! Interior: Smooth Leather seating with high backs and bucket-type seating to provide optimum support and comfort due to pronounced bolstering for the thighs, hips and lumbar sections. High-grade Alcantara envelops the top of the instrument panel, door trim, center console and palm rest. The Alcantara trim is also functional since it reduces glare and reflection from the instrument cluster. Another awesome feature to point out is the new white LED interior illumination! Attention to Detail is Incredible! This takes the cake: The sewing pattern and stitching on the front seats of the Lexus GS F have been thoughtfully placed so that it mimics the skeletal and musculature of the human body for the highest degree of comfort and stability, while greatly reducing driving fatigue. 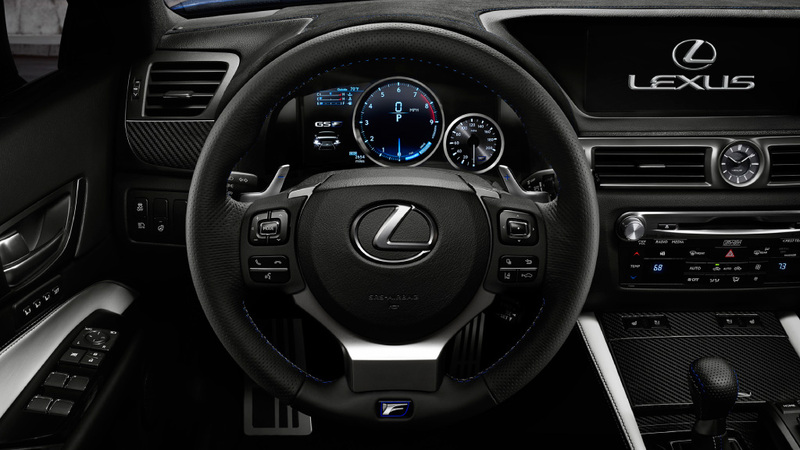 The Lexus GS F will also come with the new Color Heads Up Display and will be available in an exciting mix of exterior colors: Molten Pearl, Ultrasonic Blue, Ultra White, Atomic Silver, Liquid Platinum, Nebula Gray Pearl, Caviar and Matador Red. The interior options include Stratus Gray, Black and Circuit Red. We can’t wait!! Reserve your Lexus GS F online, anytime by visiting the Lexus at Dominion website or clicking on the link above. Turbo Trend, Lexus Does It Again!